So Easter is just right around the corner, it's a time where everyone received lots of chocolate treats and spending time with the family - who doesn't love it? 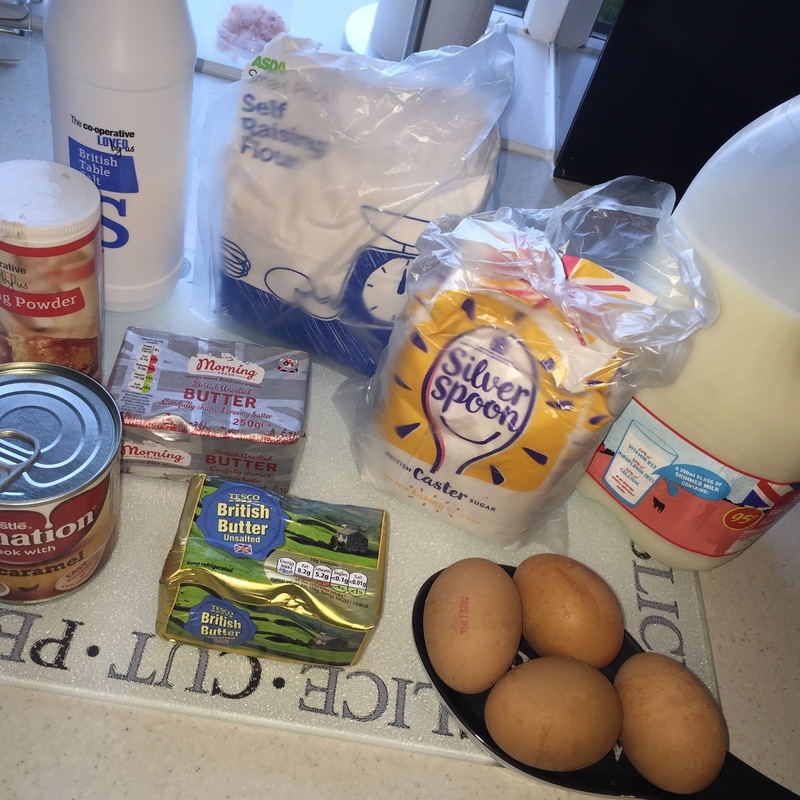 I find this is a perfect time to bake! I love baking so much and having family time and sharing it is so lovely. Cakes are something I love baking and I am a sucker for chocolate or anything sweet. I always get extra chocolate so what better use to put to towards then helping decorate an Easter cake? I though I'd share with you my cake as an extra post and just something nice to read on Easter Day. 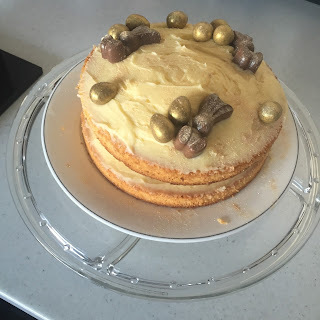 My great aunties birthday is on Easter so we all visited her and I baked her this cake! To start Preheat oven to 180c, then butter your two cake tins and line with baking paper so it's easier to take out. Then In a large bowl, add all the ingredients and mix together until you have a smooth, soft batter. Divide the mixture between the tins, smooth the surface with a spatula, then bake for about 20 mins until golden brown. Once the cakes are out of the oven, put them onto a cooling rack and leave to cool completely whilst you make the buttercream. For the buttercream, beat the butter till creamy then add half icing sugar in. Mix together until smooth. Then add the rest of the icing sugar gradually until the mixture is smooth and creamy. With the smallest batch of buttercream, I Spread it over the bottom of one of the sponges and sandwich the second sponge on top. Them to ice the cake I just got a spatula and covered the top of the cake in the buttercream, making it look just really fluffy and like its suppose to look like that. 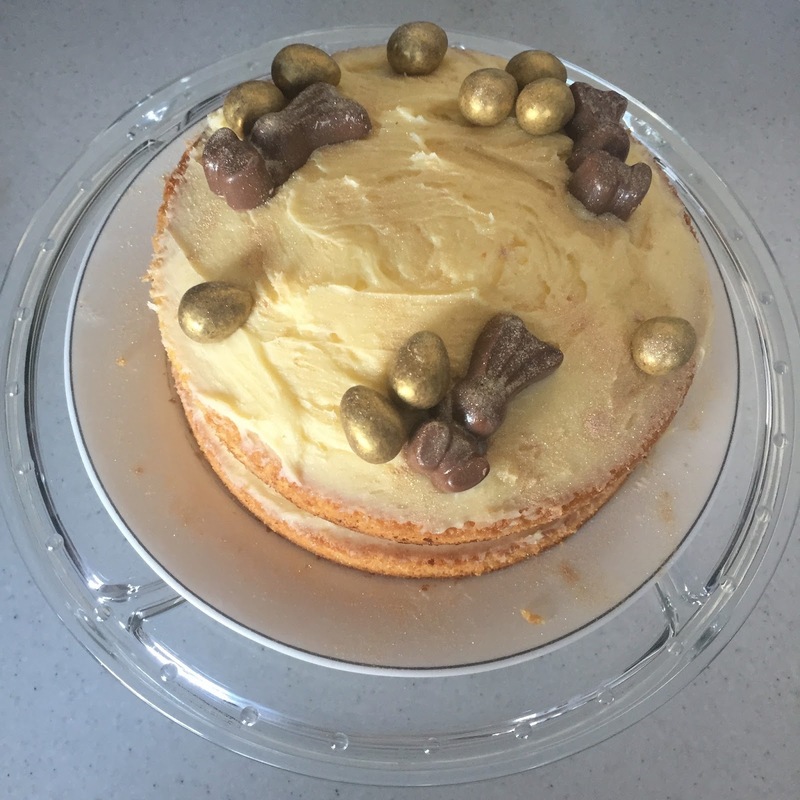 Finally for the decorations, I just added the bunnies and eggs all around the cake in no order just spacing them out evenly then just sprinkling the glitter everywhere. Then you're done! So I hope you all liked my cake and even use this recipe because It's my favourite cake I've baked so far honestly!